Wettenhall Environment Trust is committed to increasing philanthropic and corporate spending on the environment. 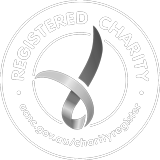 As an environment organisation with tax deductibility status, we are able to accept donations from other philanthropic bodies, private funders, or businesses and give you a tax deductible receipt. Donations are put towards the Small Environmental Grants Scheme or the Landscape Restoration Scheme.